The economic meltdown has changed the staffing pattern in different organizations greatly. The statistics showing that the contract stuffing has outnumbered the regular employment in the post-meltdown era at an astounding rate. The data reveals that there are two contract staffing employee for every regular employee. It has increased the number of contract staffing recruiters in a great way and the data predicts that the trend will continue for another three to four years. The question therefore is which model is correct? The risk of contract staffing is that the contract employees are not a splendid idea for sensitive jobs for the obvious reason. A regular job is everybody’s aspiration. Except a very few highly talented people nobody likes to remain floating for entire career, uncertain about the next assignment. The freelancers are exceptions. So, if any of your contracted employees working with sensitive data get an excellent offer or a plum post from your competitor, he will leave you at the earliest. Therefore, you have some limits to affect the contract staffing recruitment. So, there are a few limitations in the module and you must give proper thought to it. It is not very cost effective for a company to give an ad that the company is hiring for a temporary period. Therefore, the best solution is to engage contract staffing recruitment services. The agencies normally maintain a good inventory of the empanelled job-seekers and are always ready with the profiles after verifying the background details including the drug history of the candidates with updated resumes. So, the employer is eased out on background verification and can focus on the eligibility of the candidate. The head hunting companies usually focus on a definite skill. For example a company can specialize on the IT specialists. The company will then have IT people in their kitty and the company itself will have profound knowledge of the particular skill sets required for a particular job. It may seem that such focusing narrow down their scope but it has been observed that the compartmentalization has increased the credibility of the company on the contrary. It is because, the hiring company will also know who to contact for a particular skill set. That’s the advantage of contract staffing specialists. Define in clear terms the reasons for contracting and the period. 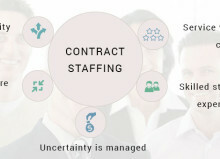 In general, there are two modules popular in contract staffing. 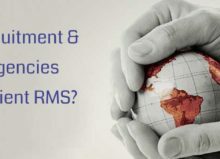 The agencies who engage a pool of skilled personnel for placing them in different organizations as and when demanded. The employees get regular payment from the headhunting company and the head hunting company bill the recruiting company the salary with their service charges. It is not very popular. In the other module the head hunting company supplies the employee and charges a percentage of the compensation to the recruiting company once the employee joins. Defiantly In-fact company grow fast when you outsource portion of work to company with specific expertise.